I have to congratulate UEFA and the Serbian FA for the organisation of this great show. 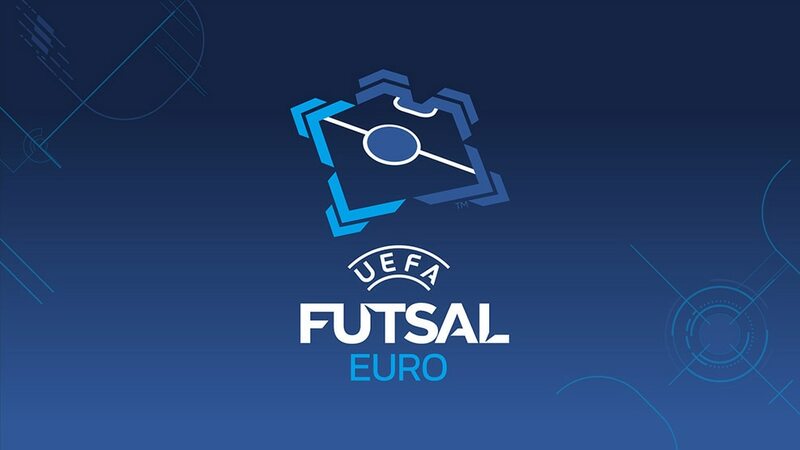 It has been a great tournament and a big leap forward for futsal in Europe. Talking about the tournament, I have to congratulate third-placed Kazakhstan, runners-up Russia and fourth-placed Serbia as well as my team. They have worked hard, focused and been a very serious team. My players showed everyone that they are the best, that we have the best team. We were magnificent in the first half, we did everything we planned – it went even better than we thought. We didn't want Russia to move the ball as they like to do and we got two goals from winning possession back. We were then in control of the match and we defended the flying goalkeeper brilliantly – every time we got the ball, we scored a goal. The way we have worked, the players, the federation, is very important. This tournament is an example that our league is the best in Europe and the players have yet again given me a big surprise. When I got here to Belgrade I told them something important: "You are the best team I have ever coached." And I have coached a lot! They definitely deserve this victory. The main thing I can say now is that we lost and Spain were better. All I can do is congratulate them. We were prepared for Spain's set pieces, we knew they were good at them. We also prepared for Spain pressure as we knew it would be very dangerous to make mistakes in our half of the pitch. But because of our mistakes we ended up four down and Spain were rampant. We did some things well, some things badly, but Spain took advantage of our mistakes anyway. Our opponents forced us into those mistakes. The absence of any player can influence the game. Today it was Eder Lima, but I cannot criticise the players on the pitch – they did their best. Of course, we don't feel good right now, but we can look at it from another perspective as it is our third final in a row. Taking into account what had happened before the final, we were favourites to win tonight and thankfully that's what happened. We played really well in the final and we fully deserved the result. We performed well throughout the tournament, but today was our finest hour and display. The main secret of our success here in Serbia was the entire team, every single member of this family that we have created. Two years ago we didn't reach our objective and we felt really bad about it, so this time around we came here with our heart and soul. Everyone gave their best and the result is this beautiful trophy. I have dreamed about lifting a trophy like this one for a long time so you can imagine just how I feel. I'm really, really happy, but mainly because of the team and not myself. We worked so hard to achieve this and that's why it feels so great to finally win it. At the start of the tournament nobody was taking about us and when they did it was just to mention all the injured players we had. We kept focused and worked very hard towards the objective we had defined. We kept improving and that was a key factor in this success. Today was just perfect. We controlled the match from the start and didn't give our opponents any chance of fighting for the result. We have to wait and see if this is the start of another Spanish reign in futsal, but for now we are without a doubt the best team in Europe. We knew exactly just how Spain plays. They are very aggressive when we have the ball in our own half. We trained really hard for that and we knew we couldn't make any kind of mistakes in that department. We're playing in a final and if the opposition team are pressuring you than you need to be intelligent and know when to take risks and when to just kick the ball away to make sure there's no danger for your team. That didn't happen today and we made three mistakes in the first half that cost us three goals. You simply cannot win when you make mistakes like that. It's hard to explain what happened tonight and why we didn't manage to play at our level all throughout the tournament. All of our team could have done much better and we have to accept all the criticism. It's really hard to lose a third straight final but we need to raise our heads and start to think about our next objective, which is to qualify for the World Cup. Personally I will try to clear my head by spending time with my family and trying not to think about futsal for a while.